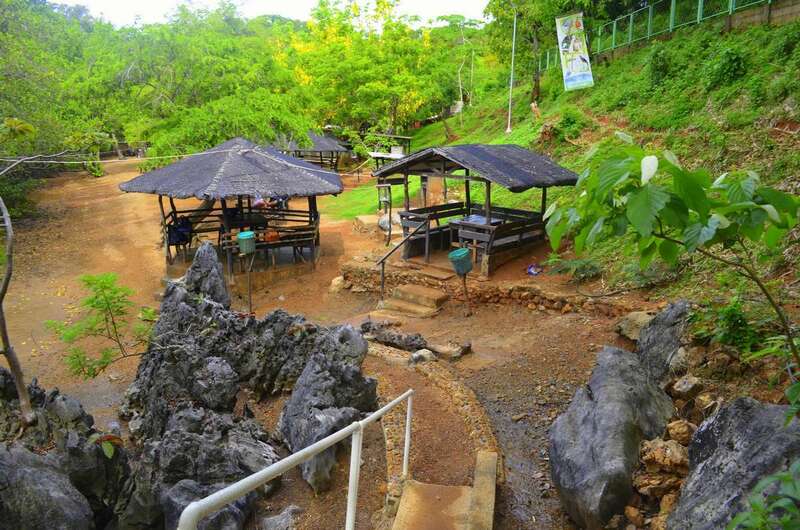 Maquinit Hot Springs in Coron is believed to be one of the rarest hot springs in the country and in Asia. It’s unique for its saltwater pools. 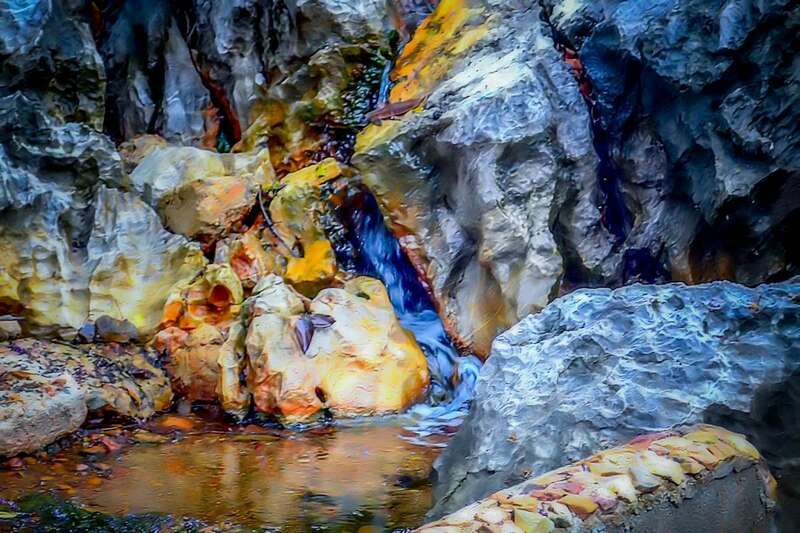 Take a dip and let the volcanically heated water soothe your aching muscles. It was a slightly bumpy 30-minute ride to Maquinit Hot Springs in the rented van around 8 in the morning. I immediately noticed the mangroves and what seemed like small fishes jumping. 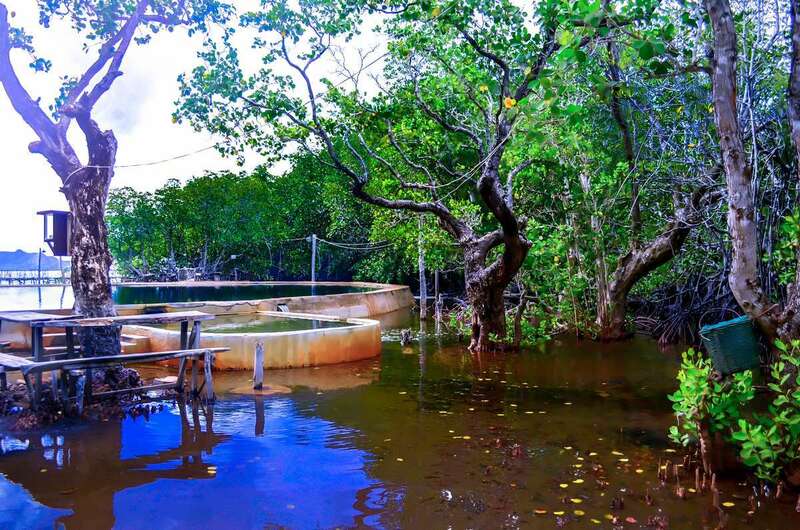 There’s very shallow water near the mangrove area leading to the pool area. While walking, I got my feet wet and the warm water was a clear contrast to the cool morning breeze. And there it was — the Maquinit Hot Springs. 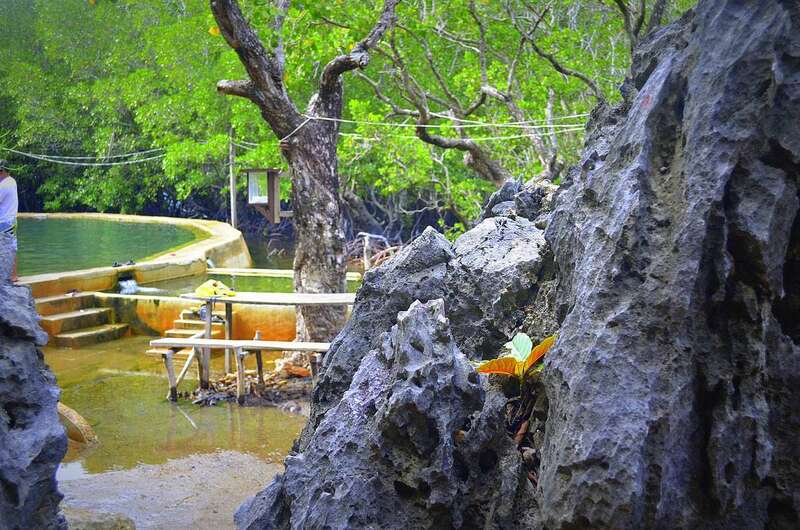 It’s surrounded with trees, rock formations, mangroves, tables and cottages. Such a relaxing sight to behold. The wind blowing from that area’s warmer. Maquinit means “mainit” in Filipino and hot in English. There are two main pools. The water, they say, springs from an inactive volcano. The water is salty because it’s connected to the sea. The water temperature is about 40 degrees Celsius. I wore my slippers because the bottom of the pool is a bit rocky. When I took that first step into the pool, I wanted to jump out. It was so hot. I had to do it really slowly, one foot at a time. I stayed at the edge of the pool and sat while my feet were submerged. I had to wait until my body adjusted to the temperature. It was comforting to my legs. The warm water took away the stress and muscle pains from the previous days spent trekking and swimming. While trying to go deeper, just after the water went above my knees, I decided to just skip it. Way too hot! It’s amazing how the visitors here were swimming in the waist-deep pool enjoying the hot, hot, hot springs. 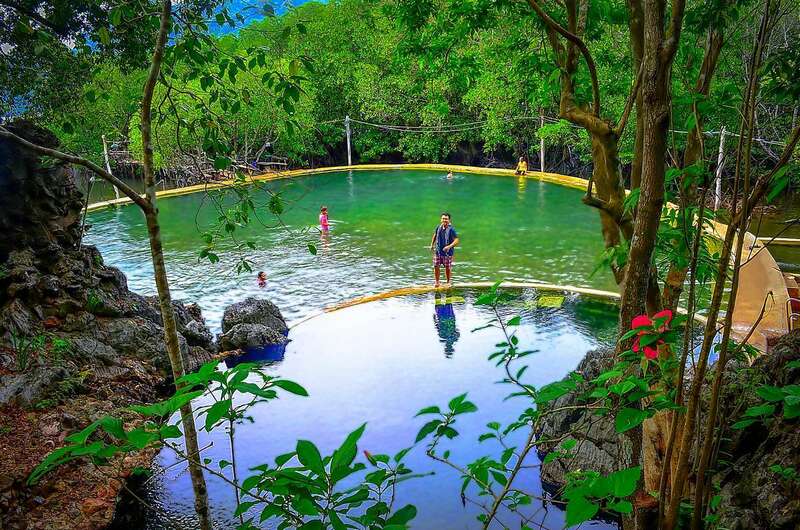 Lia Ramos, whose family has been taking care of the hot springs for generations, said the pools have “spirulina” which is a substance used to produce animal feeds, medicines, vitamin supplements and cosmetics. This is part of the pools’ therapy. She added that some visitors who come with respiratory and skin problems observe improvements in their condition after their dip. I can’t really say, because I don’t have these conditions but I can attest to the relief from muscle pains. I got out of the pool to take a look around. There’s a boardwalk leading to the sea. This is the other entrance for those arriving in boats. 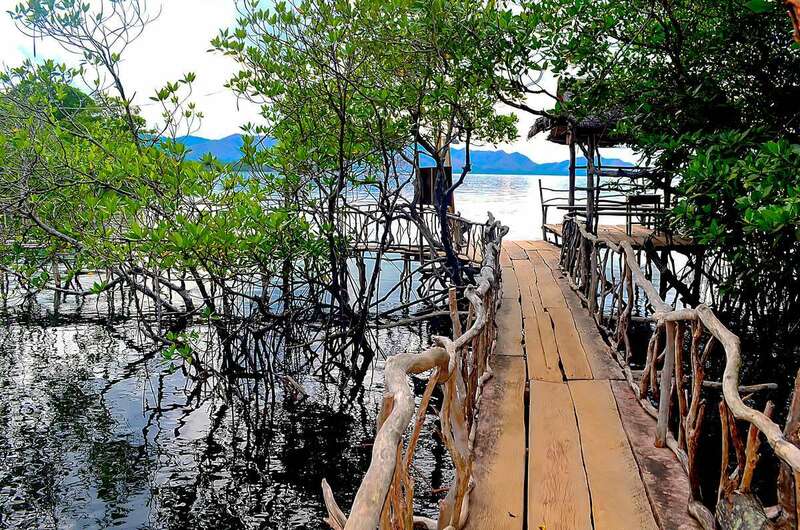 From the boardwalk, you can see the islets of Coron Bay. If you close your eyes, you can listen to nature singing. 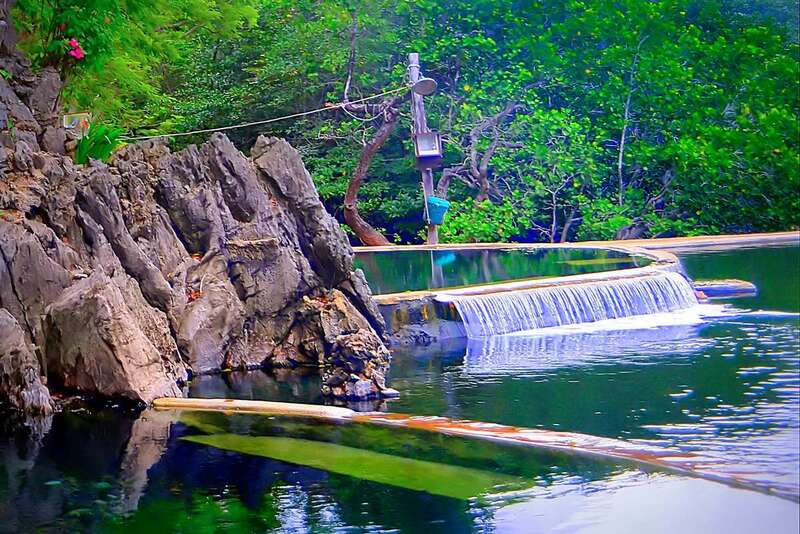 The birds’ chirping accompanied by the sound of water flowing. I walked around some more, and went up to a viewing area. It’s perfect to take top shots of the place and if your camera has a powerful zoom, you can take photos of the different birds. There are tables and cottages in the area for free. It was a quick visit. Barely an hour. I’d like to go back here and experience the hot springs at night. They say the lighting here is good at night as well. Plus, maybe the cooler night winds can help me stand the hot water. Here are some reminders. Tourists can bring food but not drinks except for baby’s milk and water. Drinks can be bought at the Kiosk. Don’t go here between 10am and 3pm because it’s so scorching hot. Those with medical conditions, like high blood pressure, are advised to minimize the time in the pool and take a cold shower after to normalize the body temperature. Discounts are given to students, residents and senior citizens if valid ID’s are presented. Animals like monitor lizards, egrets, squirrels and monkeys appear once in a while. Tourists are not allowed to feed or harm the animals. Though the main attraction here is the hot springs, I consider this place also as a relaxing visual treat. 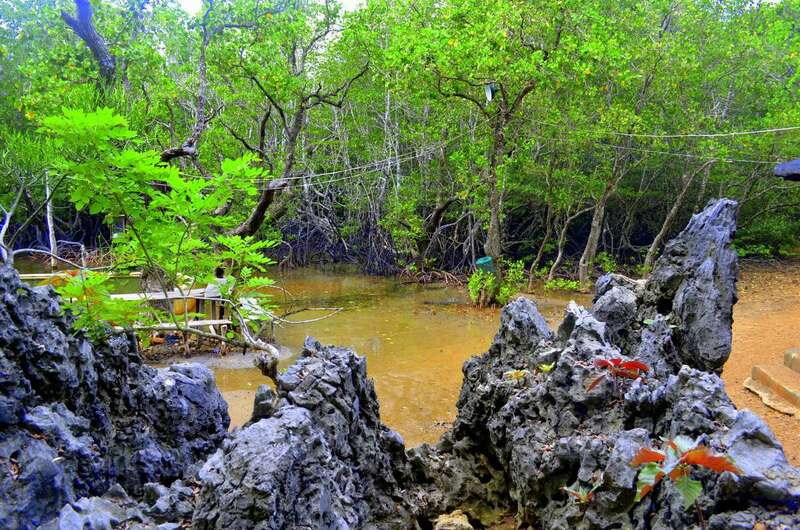 The sea, the mangroves, the trees, the rock formations, the boardwalk and the birds complete the experience. 1. From Coron town proper you can take a tricycle ride for Php300-400. The driver will wait on you. 2. 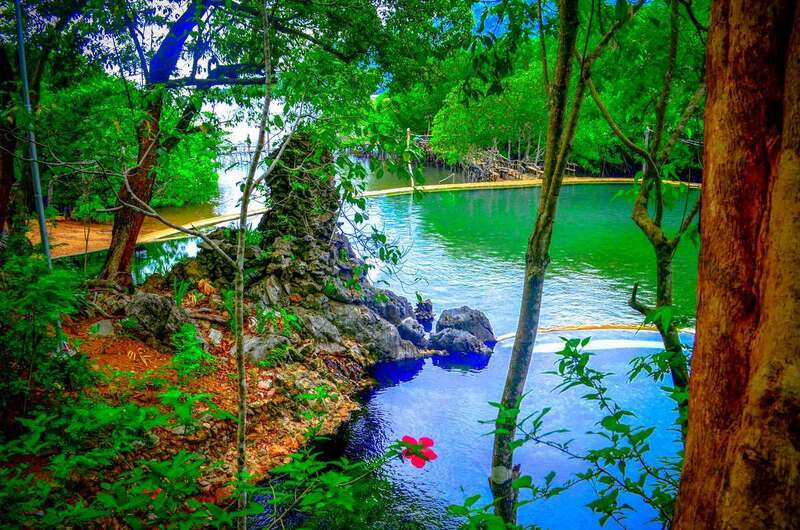 This is often included in the tour packages and you can reach this place also through a boat ride. The rates depend on the package you choose. Guests are requested to show valid ID’s to get the discounted rates for senior citizens, students, children and residents of Coron and Culion.